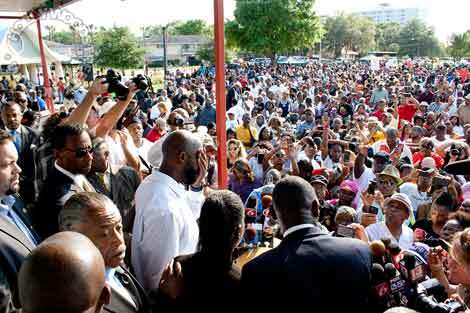 Thousands rally for Trayvon Martin in Sanford, FL. In the past year, the United States has experienced an upsurge in black political consciousness as hundreds of thousands of organizations and people poured into the streets to demand justice for Trayvon Martin, the 17 year-old African-American youth brutally murdered in Sanford, FL. Martin’s case has drawn enormous attention to the daily terrorism inflicted on African-Americans by both the US government and vigilante terrorists, like George Zimmerman, who uphold and enforce a vicious system of white supremacy.